This little cube stable is just the right size for the 2” Holy Family. 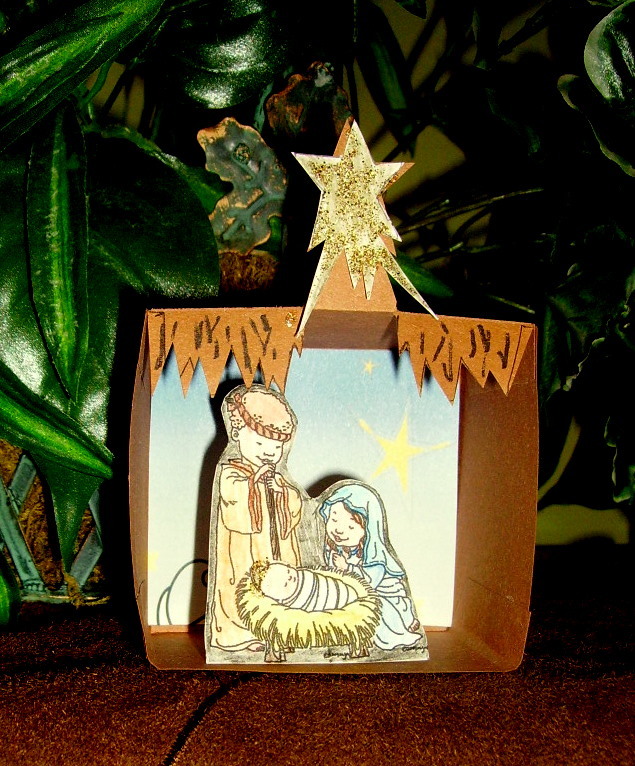 I also used these Mo Manning digital stamps for the “ Pop-up Nativity,” 3rd grade project. The digital stamps are so convenient because you can size them to whatever size you need—no need to buy stamps of every size. They can be purchased at http://digitalpenciltoo.com/. Mo gave me written permission to use the printed stamps for this project. The directions for this little “Nativity Cube,” can be found in the 2nd Grade Projects Gallery in the sidebar. This entry was posted in 2nd Grade, Christmas Projects and tagged 2nd Grade, arts and crafts for kids, christmas arts and crafts for kids, christmas crafts for kids, christmas nativity project for kids, cube Nativity stable, Nativity, nativity cube. Bookmark the permalink.